Customer feedback is vital in any industry, but when the business is hospitality, personal comments and complaints from individual guests can reveal problems managers may not have noticed. 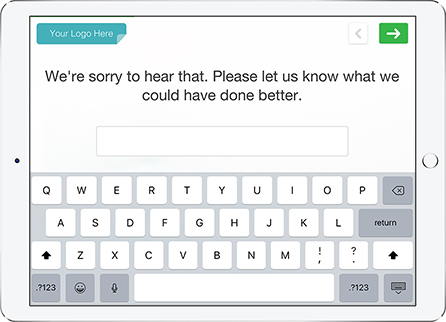 Do you need a better way to gather feedback from your guests? For hoteliers, ensuring the satisfaction of your guests must be your top priority. 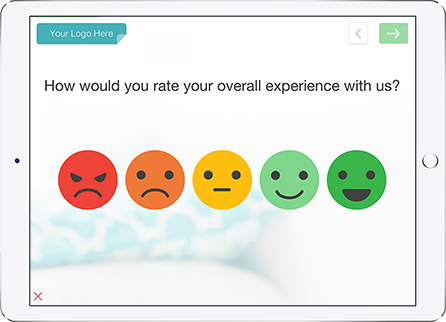 Measuring guest feedback, especially across locations is no easy task however. You need to measure and maintain guest experience standards and ensure a positive experience to sustain your reputation. 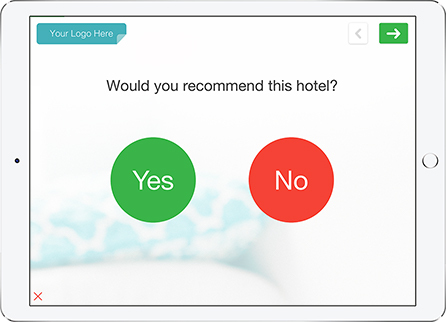 The right technology tool can help you track and manage guest feedback effortlessly and affordably. 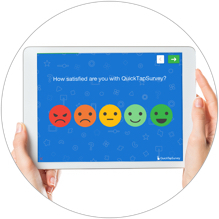 QuickTapSurvey provides a fast, easy way to capture feedback from guests, analyze the data and take action on your insights. With QuickTapSurvey’s survey builder app you can get more online reviews, follow up with guests depending on their feedback, and gather valuable insights about what you are doing well and what aspects of your service and environment you must improve in order to take your guest satisfaction to the next level. Embed your tablet in a kiosk enclosure to collect feedback from your guests unattended, or collect feedback face to face. 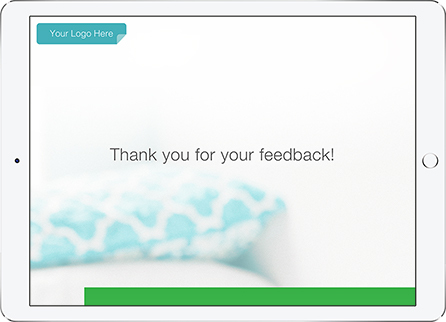 Brand your guest feedback survey with your own colours, background image and logo. 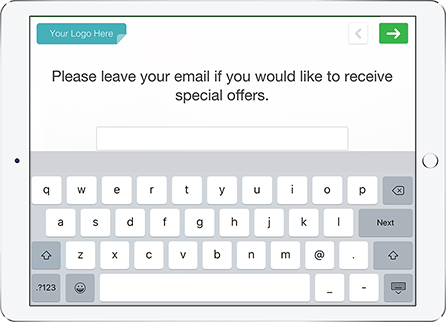 Create an email that is automatically sent to your survey respondent immediately upon completion of a survey. Customize the style and content. 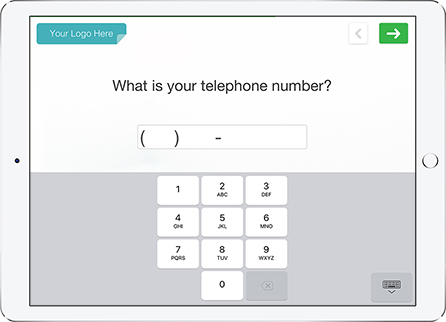 Choose what questions to show the respondent next based on the answer they have selected for the current question. For example, if your guest has indicated a negative experience you can skip them to a question prompting them for further information or asking for a follow up with management. Create a new survey and choose the Guest Feedback Survey template from our library. You can also start from scratch with our fast and easy survey builder. 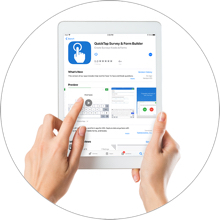 Download the QuickTapSurvey mobile app from the App Store or Play Store. Sync your survey to your device, and you’re ready to start collecting guest feedback! 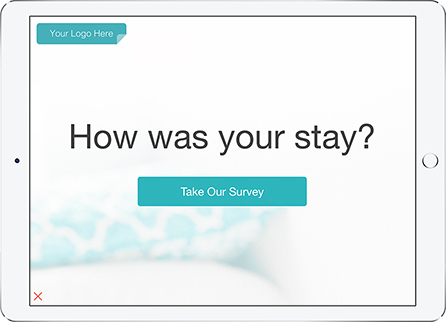 Mount your survey tablet in a kiosk enclosure or capture feedback from your guests in person. 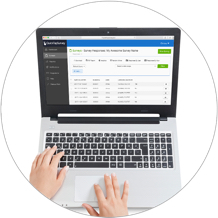 View your data and download it for use in multiple formats. Visualize your data into multiple report types and export it in a professional PDF format for sharing and discussion. 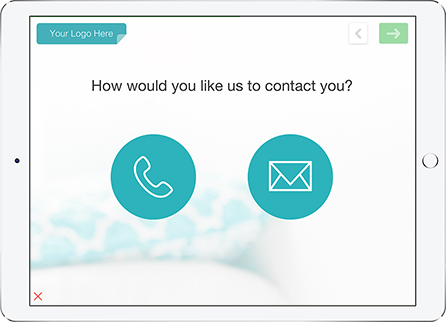 Gain access to useful reporting and analytics tools to help you take your visitor satisfaction to the next level! Through our powerful analytics dashboard you’ll be able to easily view and analyze the data you have collected in one place and download it in multiple formats. 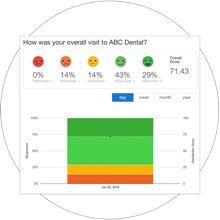 Generate professional and shareable reports with you data, including analytics reports, active kiosk reports, NPS reports and Satisfaction reports.